In recent years, the hardware industry has changed its past favorable conditions and is facing a series of problems including serious homogenization of products and intensified market competition and more. In other words, the development of enterprises has encountered bottlenecks. If there are no new products with competitiveness, hardware distributors will not advance but retreat, and will be gradually eliminated by the market. Two South American hardware clients of WELLMAX have faced the same problem, and fortunately, they found a way to break the predicament with WELLMAX. The two clients are partners, who pursue continuous development. Before attending the Canton fair in 2017, they learnt that many countries in South America are increasingly paying more attention to LED lighting after the 2016 Rio Olympics in Brazil. Some of the Latin American countries have passed legislation prohibiting the use of traditional lamps, and required LED lights to apply in key projects and other ways. In the next five to eight years, with the replacement of traditional lamps and the rise of real estate, LED lighting will usher explosive growth in the South American market. Therefore, they decided to target on the promising LED lighting industry to avoid the homogeneous competition of hardware tools, making full use of the existing customer base and distribution channels. 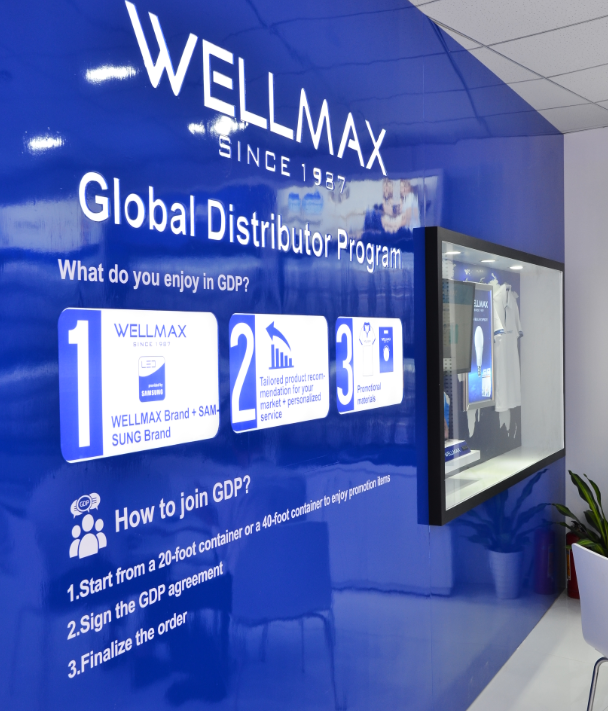 After entering the field of LED lighting, they contacted hundreds of lighting enterprises at the Canton fair and finally decided to join WELLMAX's GDP (Global Distributor Program). In perspective of clients, WELLMAX is a trustworthy brand enterprise. At present, WELLMAX has exported more than one billion bulbs, which makes itself become the largest LED bulb exporter in Shanghai, China. In order to help partners maintain the leading position in their local market, WELLMAX’s R&D department releases at least 3 new products every year according to the market demand. Faced with today's trend of global economic integration, “fighting alone” strategy is getting infeasible. Choosing a brand enterprise with responsibility as well as marketing support is an effective way for hardware distributors to break through the bottleneck of growth in the competition and realize sustainable development.